Fill-in cushion 271,00 € tax excl. Leisegang colposcope holder 325,00 € tax excl. Zeiss colposcope holder 256,00 € tax excl. Splash guard cover 93,00 € tax excl. Olympus colposcope holder (right) 252,00 € tax excl. Olympus colposcope holder (left) 252,00 € tax excl. Lamp LED 7W No contact switch 681,00 € tax excl. Lamp LED 4,2W 505,00 € tax excl. Lamp LED 4,2W No contact switch 591,00 € tax excl. - Head cushion (Elansa) 109,00 € tax excl. - Leg cushion (Elansa) 317,00 € tax excl. 4 double castors with brakes 85,00 € tax excl. Paire de sangle pour goeppels 199,00 € tax excl. 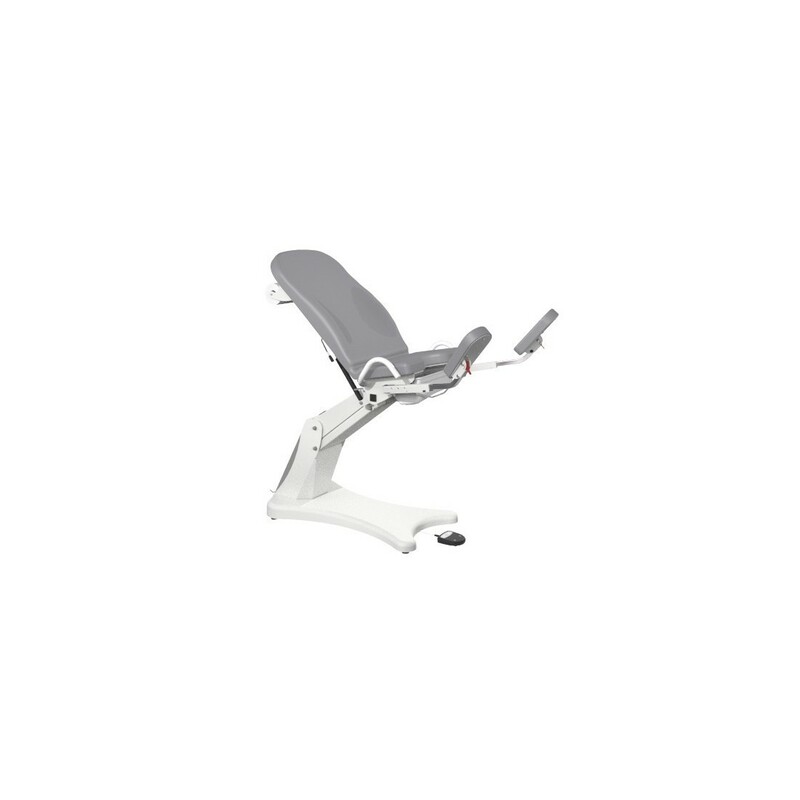 A gyneacologists’ favourite, the Elansa gyneacological couch from Promotal ensures easy accessibility with a welcome position at 46cm. Pregnant women, elderly persons and other reduced mobility patients are thus received in the best conditions. 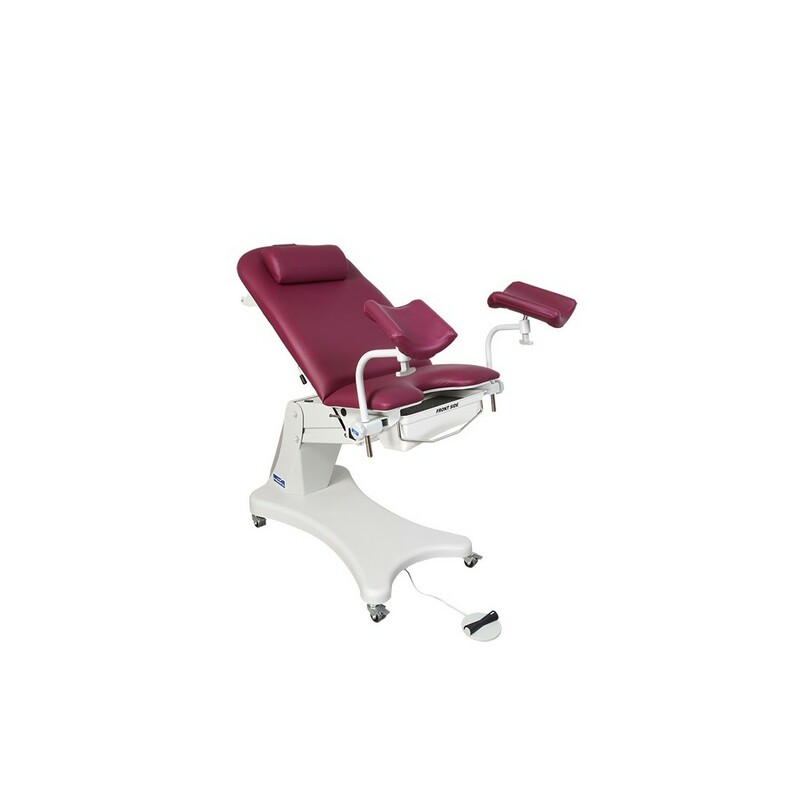 Very easy to use, the Elansa gyneacological examination table can be raised to a maximum height of 106cm for an optimal examination position. 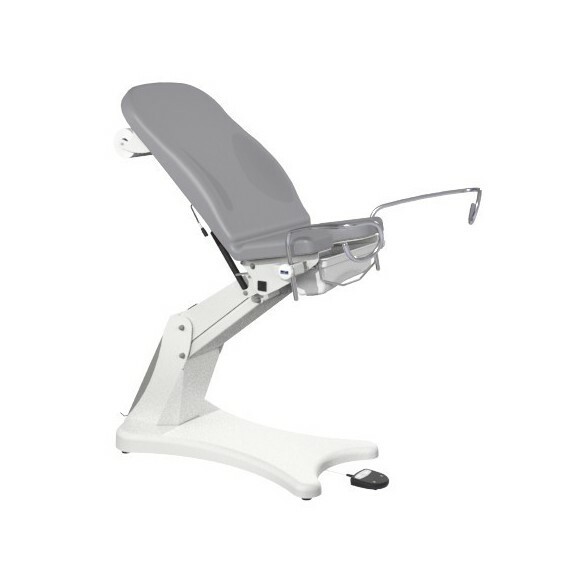 Available in 3 different models, this gyneacology couch allows for different types of gyneacological examinations (Goeppels, stirrups, foot rest). The couch offers the possibility of memorising your favourite examination positions with its programmable pedal (with maintained pressure). This very simple pedal system ensures comfort of use for the practitioner and facilitates the examination. 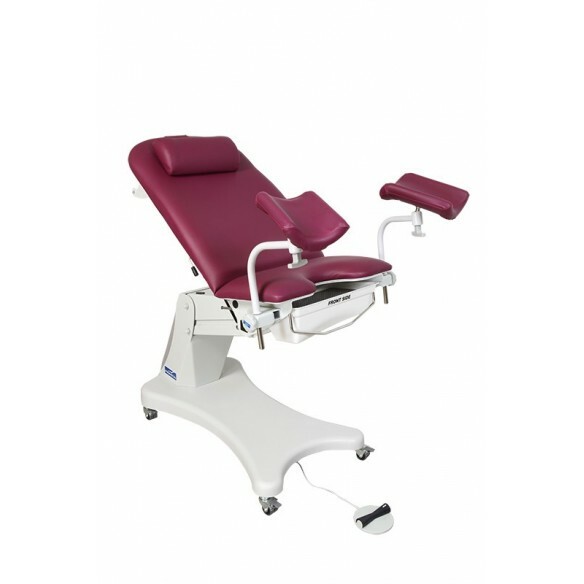 The Elansa can also be positioned as a classic examination table, by extending the seat with a foot cushion (accessory). 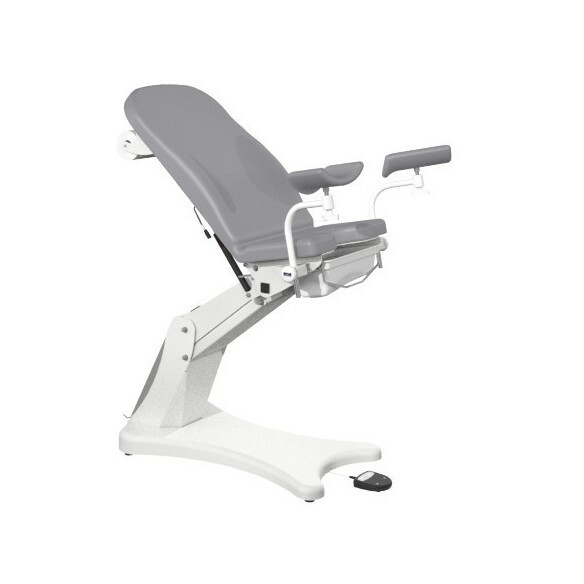 Variable height from 46cm to 106cm, an easy to remove seamless upholstery for optimal hygiene, 3 models for different examination uses, up to 170kg patient weight capacity, electric emergency position system, slidable and removable ABS pan, colposcope holder...the Elansa gyneacology couch has numerous benefits. Its simple, practical design brings you an effective, sure and reliable gyneacological use. With more than 18 colours available, your Elansa table will integrate perfectly into your workspace and will suit your tastes. 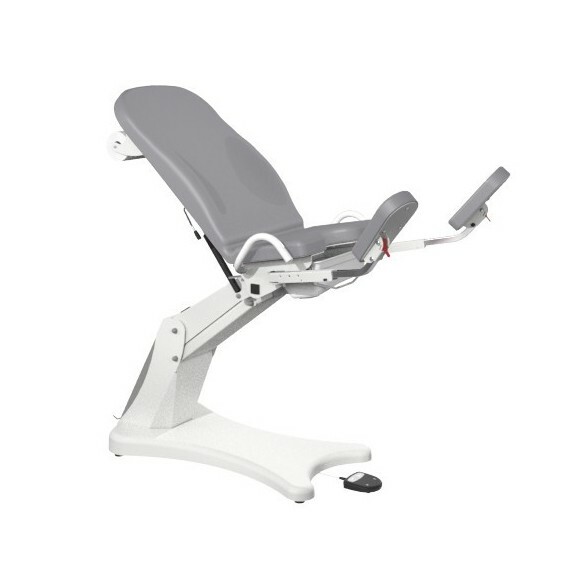 Info: As well as facilitating your consultations, the Elansa will protect you from Musculo-Skeletal Disorders (MSD).